Nokia 5730 Express Music : Nokia announced the arrival of new Nokia Music Stores, more Comes With Music launches and a new Nokia music cell phone. The Nokia 5730 XpressMusic handset brings people's music to life with features that give music lovers easy access to the music they love. By expanding the music cell phone line-up to different price points, introducing more markets with Comes With Music service and the Nokia Music Store as well as making the integration of these elements as easy as possible, on both on the mobile phone and the Personal Computer, Nokia is changing the way music is enjoyed. The digital music player that rings in your pocket is also the library, the shop and the platform to manage all your music. 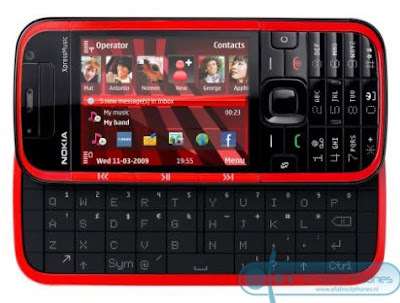 The Nokia 5730 XpressMusic is Nokia's first music-optimized device to offer a full QWERTY keyboard - ideal for quick messaging. The heart of this music device is the Homescreen for XpressMusic, providing access and dynamic information on music, people, games, email and calendar. 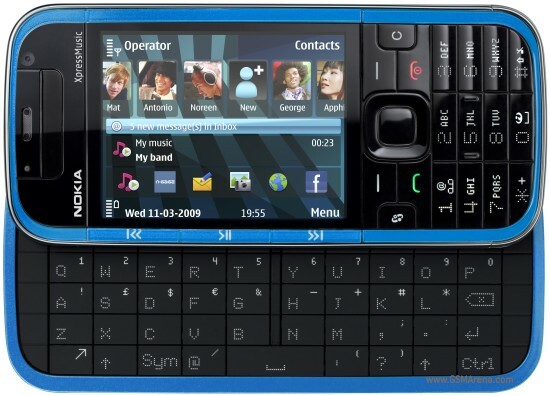 The Homescreen of the XpressMusic 5730 features an improved contacts bar with up to 20 friends and family members and provides direct access to music, N-Gage and other applications, like Facebook, Photos, Ovi Contacts, Maps, messaging and more. With Ovi Contacts, people see which friends are online, chat and view what music they are listening to. The Music shortcut offers a quick access to the music stored on the Nokia Express Music cell phone as well as to the Nokia Music Store where they can find for information on artists, music and over-the-air downloads, directly on the device. 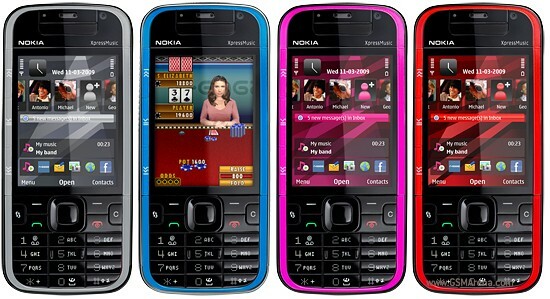 With the dedicated gaming keys the Nokia 5730 Xpress Music mobile phone is a true N-Gage gadget. Direct access to the N-Gage Arena community and the preloaded N-Gage mobile games invite to connect and compete and check high scores with online friends. The Nokia 5730 XpressMusic is expected to begin shipping in the third quarter of 2009 for an estimated retail price of 280 EUR before subsidies and taxes. As soon as we receive a Nokia 5730 test sample, we will publish a photo gallery with high resolution pictures, followed by an extended Nokia 5730 XpressMusic review.